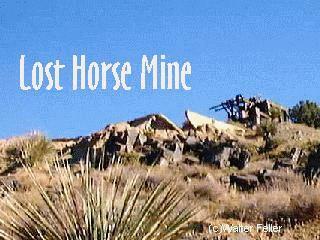 The Lost Horse Mine produced 10,000 ounces of gold and 16,000 ounces of silver between the years 1894 and 1931. Parking area 1.2 miles east of Keys View Road. 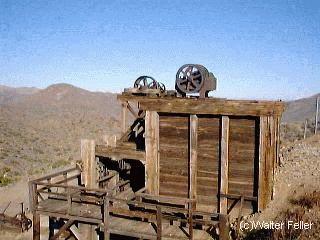 Description: Site of ten-stamp mill and foundations. 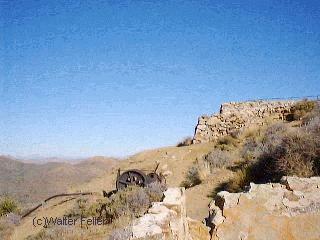 Summit elevation: 5,278 feet. 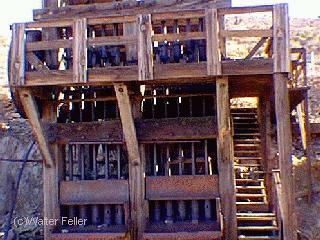 How does a Stamp Mill work?